If you do not have your own 4wd the only way to visit these areas when they are open is by joining a tour. 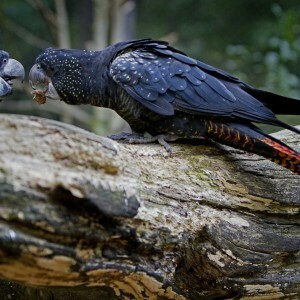 This indigenous owned 4wd full day Spirit of Kakadu Tour operates May until 15th Ocotober. 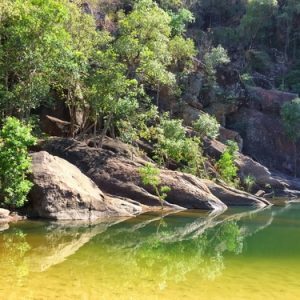 The Spirit of Kakadu Tour will take you to hard to reach places within Kakadu National Park, such as Gunlom and Maguk when they are accessible. 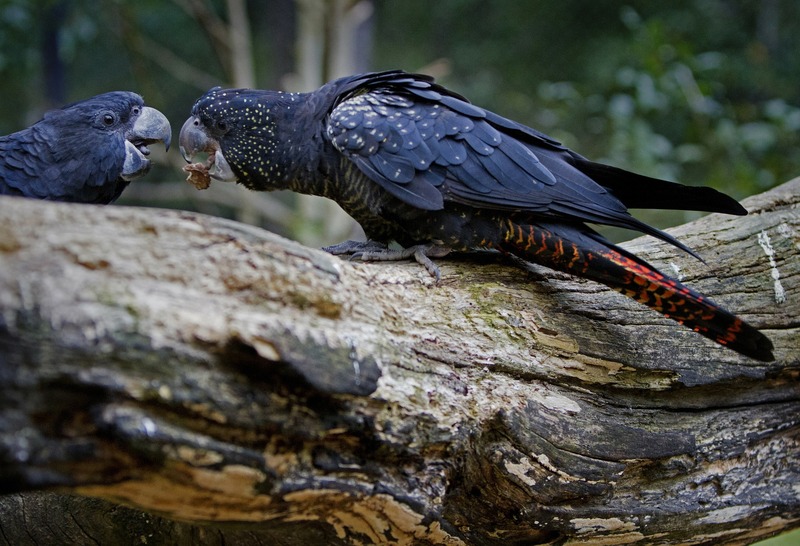 See the less accessible parts of Kakadu on this Adventure Tour. 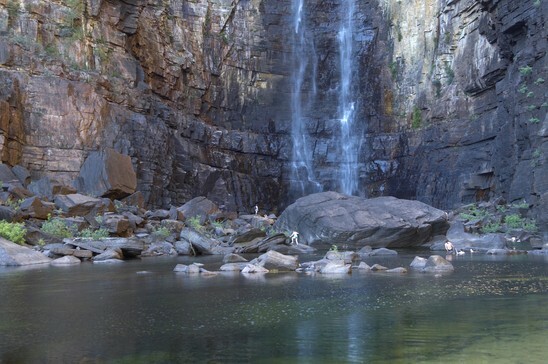 Take an exclusive off-road adventure to visit the waterfalls, swimming holes and escarpments of Kakadu. The Adventure Tours offer 4WD all day tours that operate throughout the dry and shoulder periods. Flexible itineraries change according to access and time of the year. The tour has a modern fleet of 4WDs and meals and refreshments are provided throughout the day. Unfortunately children under 8 are not permitted on this tour. Depending on conditions and road access, your tour may visit memorable destinations such as Gunlom & Maguk. 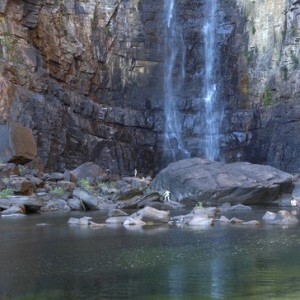 If for any reason these areas are inaccessible the tour will go to alternative waterholes such as Motorcar Falls, Boulder Creek, Gubara Rock Pools & Ikoymarrwa Rock Pool. A climb to the top of Gunlom may be an option if time permits. NOTE: This tour is only suitable for people with a high level of fitness and who are surefooted, fit and agile. Not suitable for children under 8 or adults with a medical condition. The tour has a modern fleet of 4 Wheel Drive Vehicles and includes lunch and refreshments.